This awesome Tie Dye shirt is from Science Teecher. The pies are from Leo’s Bakery, in East Rochester. We’ve got Strawberry Rhubarb, Cannoli, and Skotte’s fFavorite, Apple Pie! 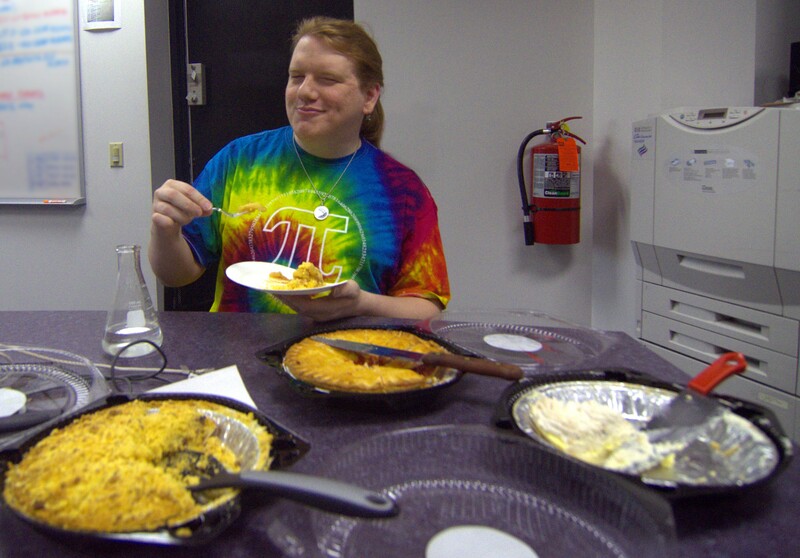 Skotte enjoys pie and wants to spread the joy of pi so much, he bought 3 pies for his coworkers, and another pie for the Wednesday afternoon gaming group. Skotte enjoys reciting pi. It’s reassuring to know that the same numbers I fFirst learned in 5th grade are still constant.